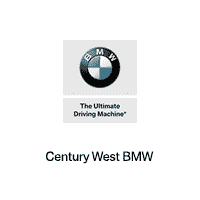 At Century West BMW, we combined our knowledge of our lineup of Bavarian luxury sedans, coupes, SAVs, and roadsters with a customer-focused buying experience that puts the needs of our shoppers first. Whether you’re here for one of our many new BMW vehicles or are interested in a quality pre-owned car, we pledge a smooth process with an experienced professionals-every step of the way. If you’ve ever taken a look at a BMW models’ spec or options sheet, you know there are quite a few ways to customize your model to your tastes. Split that between our numerous different nameplates, and we can understand how the process might seem overwhelming! Don’t fret. Our sales team will hone in on your interests and needs to help you customize a luxury vehicle that fits. And once you’ve settled on a model you want to take home, our finance center will help craft a lease or loan that fits your needs in the long term. Want to see how other shoppers have reacted to the customer-focused buying experience we offer at Century West BMW? Feel free to browse our customer testimonials. But selling lavish, sporty Bavarian luxury is just the tip of the iceberg for us here in Studio City. Our dealership is also home to a service center that can handle any maintenance need. Need routine service, such as an oil change, tire rotation, or wipe swap? You can schedule your next service appointment. Our OEM-certified technicians will get the work done for you quickly and thoroughly. In the event, a more serious issue comes up and your car requires BMW parts, we stock an impressive array, and can even order them for you. To get the ball rolling on your next car buying process, contact our Studio City, CA dealership at your convenience. Our sales team would be more than happy to help you find the car that best fits your needs and tastes. Whether you’re from our locale, Glendale, West Hollywood, or Los Angeles, we look forward to hearing from you.